This 4-wheel open brake verandah coach was originally the support coach for No. 377 - King Haakon VII. There has been some doubt whether this coach actually came to Quainton as early records were unclear, however recently a slide purchased via the ubiquitous ebay has confirmed the point. 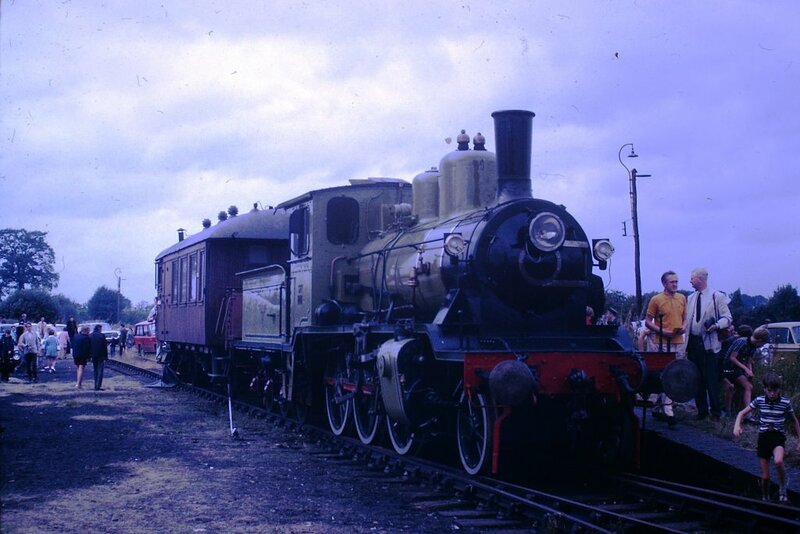 The coach went to the Ashford Steam Centre in Kent, it then moved on to the Great Central Railway in Leicestershire, before moving to Bressingham. The carriage has since been moved to a private site near Eye, Suffolk.